You are here: Home › Education › Cover Crop Plots › Field Days › We’re digging root pits! We are digging root pits to see what happened last fall and over the winter with cover crops. On March 30 we were at Mike Werling’s farm south of Ft. Wayne, IN. We held two cover crop field days at Mike’s over the summer. We looked at the fields that had oats, radishes and peas in them (these were planted in 15″ rows). The oats and radish roots were 34″ deep. Considering how exceptionally dry it was in the summer/fall of 2010, this is an impressive depth. 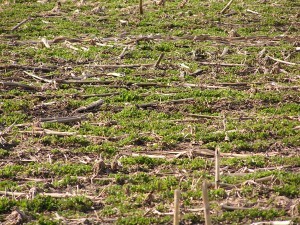 The Crimson Clover looks great at Four L Farms in March 2011 at the Francesville, IN area. This was planted after corn silage in the fall of 2010. On April 6 we will be in western Pulaski county Indiana at the Leman farms. I posted about their farm last fall. I hope we can dig 70+ inches deep (without filling the hole with water…or burying me in the process). Last fall we aleady had roots 40 inches deep. For info on the field day click Four L Farms Cover Crop Field Day April 2011. Four L Farms plants their cover crops after corn silage in 15″ rows. We’ll see crimson clover, annual ryegrass, and the vestiges of cover crop radishes. This is on a farm that applies dairy manure. 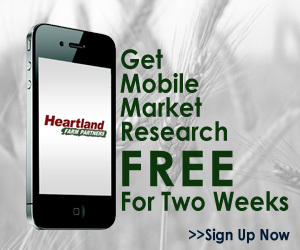 On April 7 we’re going to have another field day in Newton/Lake counties (Indiana). We will be visiting Churchill Farms where they had nearly 900 acres aerial applied into standing corn last September (2010). On this farm we will see annual ryegrass, winter cereal rye, and the vestiges of cover crop radishes. For more information on this field day click Churchill Farms Cover Crop Field Day April 2011. I hope you can all come! These are great learning opportunities! These events are co-sponsored by CISCO Seeds and local SWCD offices. 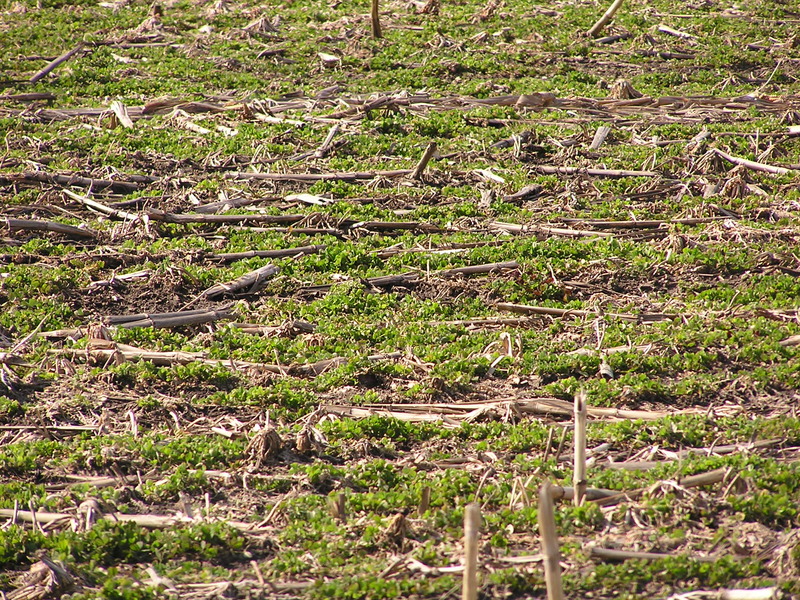 ← Cover Crop Annual Ryegrass – Kill it dead!